Quality built structures designed to compliment any living space. 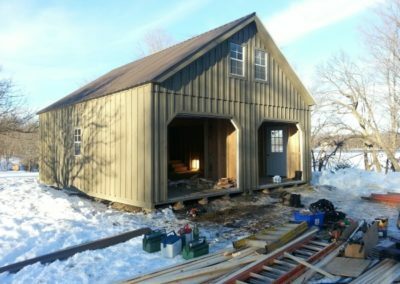 We build quality structures that will last for years using no or very low maintenance exteriors, vinyl, duro-temp, board & batten, Cedar, lap siding hardie board. Pressure treated under frames. Steel, wood, or fiberglass exterior doors. We also use top quality, long lasting roofing materials. Our quality standards are of the highest in the industry. Unsurpassed quality workmanship and the finest quality materials on the market are used in our products. 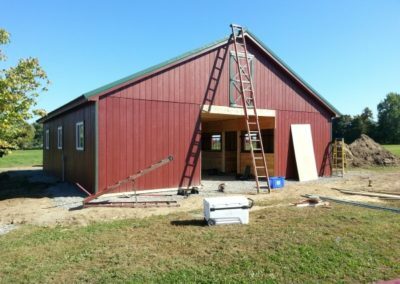 All structures are Amish Built. We have over 40 Years Experience! How many other companies can say that? Our woodworking experience stems from building fine furniture and cabinet making, so we instill that same quality craftsmanship in our products. We were selling outdoor structures since 1995 making us one of the most experienced in our industry. 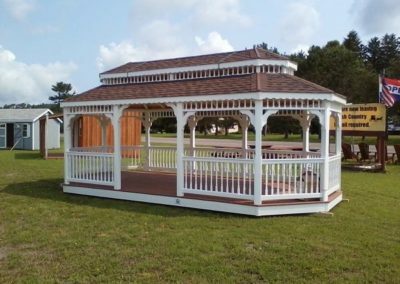 We have the most diverse line of products including guesthouses, poolhouses, pavilions, pergolas, gazebos, garages, sheds, houses and many options. We also specialize in custom orders. 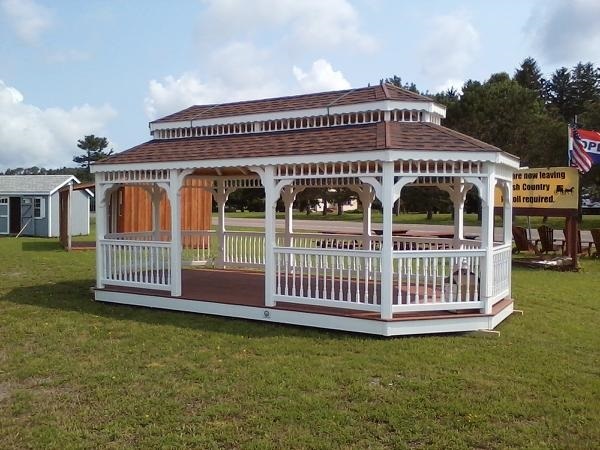 Sheds, Garages, Gazebos, Cabins, Pole Barns, And More! No one provides you with better quality, value, and selection than The Amish Structures. All structures are built to your specifications with a variety of styles and sizes to choose from. 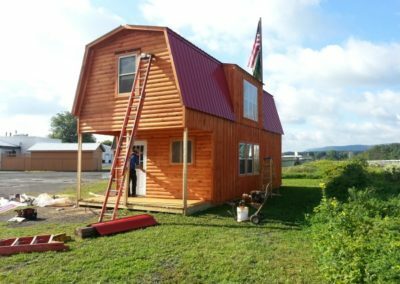 Two story structures are our specialty but we do it all from Amish Sheds, Garages, Cabins, Horse Barns, Pole Barns, Gazebos, Houses and much more. 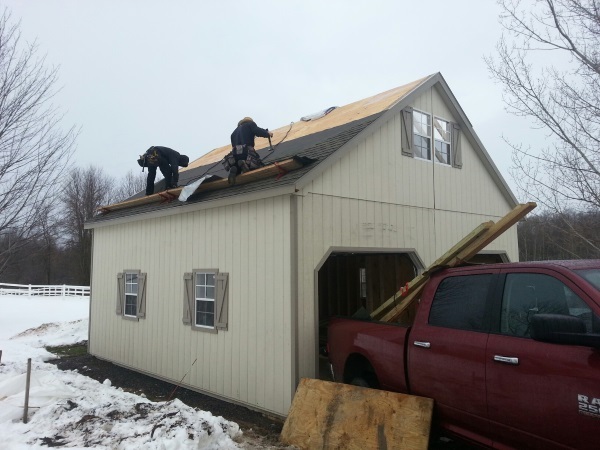 Unlike other companies that outsource parts of the job, you can trust that everything you see and receive from Amish Built Structures was made by us personally. That means you are getting the highest standard possible and something that will last for many years to come. 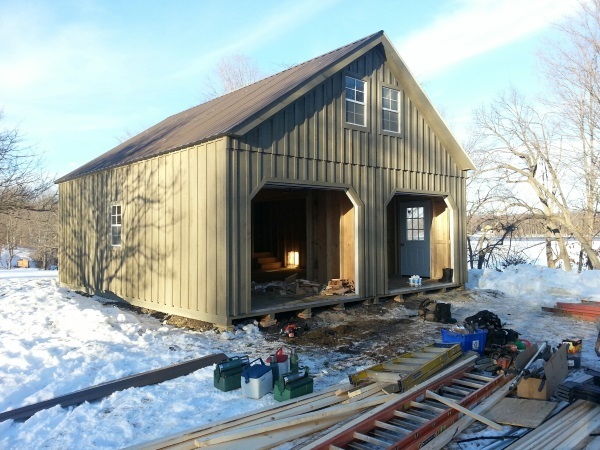 Our sheds and garages can reduce clutter, create easier access and even add living space. They can also help shelter your possessions from the weather. Best of all, having a beautiful shed, garage or gazebo in your backyard can make your property really stand out. Providing true value to your home. 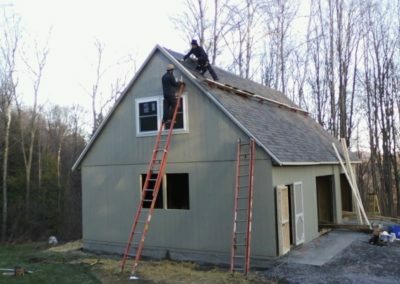 We can also build a new home to meet your needs. We have stamped engineered stamped drawings on various models. The Amish Structures proudly work with customers throughout most of New York State. Delivering Sheds and storage buildings to Syracuse, Rochester, Albany and more. We look forward to making our next delivery yours.